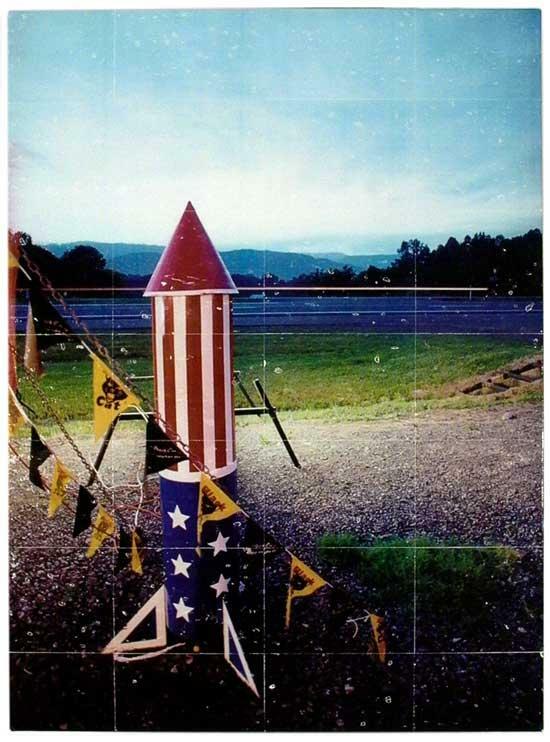 NASHVILLE – Every summer for two short weeks it becomes legal to sell fireworks in Tennessee – and fireworks stands sprout like mushrooms along rural highways all over the state. Since 2004, Nashville artist Heather Lose has spent summers photographing these Tennessee fireworks stands and their proprietors. Her work will be showcased in an exhibit at The Arts Center of Cannon County from September 16 through October 31. Lose has transferred each of the images in the exhibition from a photograph to a canvas, a laborious process that makes each piece one-of-a-kind. An artist reception and talk is scheduled for Friday, October 29 from 6:00-8:00 pm. E. Heather Lose holds a BFA from The School of the Art Institute of Chicago, and an MA in Professional Media Practices from the School of Mass Communications and Media Arts at Southern Illinois University. She is an instructor of graphic design and photography classes at the Art Institute of Tennessee–Nashville. As an artist, she works in photography and graphic design for print and the web, but her personal work is predominantly centered around documentary and environmental portraiture photography. Lose programs and hosts a radio show, the Honky Tonk Jukebox, on WRVU Nashville. Lose has posted a YouTube video with images and audio from the Tennessee Fireworks Project at http://www.youtube.com/watch?v=mz3EkL7nX9Q. The Arts Center of Cannon County is an award winning non-profit arts organization located in Woodbury, TN, a small rural town with a big arts history. Drawing from the working class roots of its community and its rich artistic heritage, the Arts Center celebrates Tennessee’s legacy through its myriad theatre productions, musical performances, Grammy winning record label, award winning arts education programming, and multiple gallery spaces. The Arts Center of Cannon County is located on Hwy. 70S approximately 1 mile west of the town of Woodbury, 15 miles east of Murfreesboro and 40 miles southeast of Nashville. The Arts Center is open, 10AM-4PM Monday-Saturday and more information is available at 800.235.9073 or www.artscenterofcc.com.